Why is it a Great Gift ? : Cakes make a great treat on birthdays. 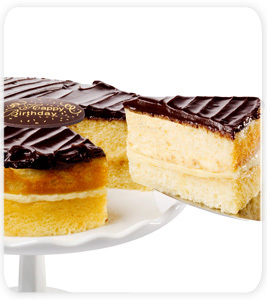 Big enough for 6-8 servings, this cake is shipped frozen and with packaging that ensures that it stays fresh till arrival. Send one today and make your loved one's birthday memorable! There is no better way to celebrate that special day than by sending this sweet indulgence to show them you care. Send the Happiest Birthday wishes with this premium Boston Cream Cake. 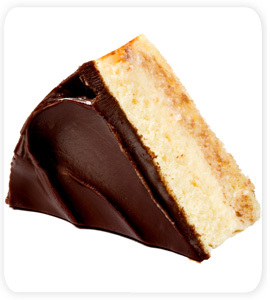 This New England delight is delivered right to the door of your loved one. 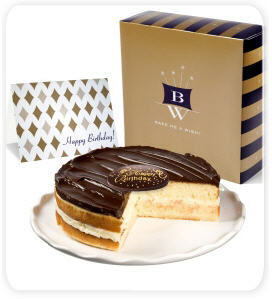 Moist and light golden cake, filled with traditional French vanilla cream is topped with delicious chocolate icing, and a Belgian chocolate "Happy Birthday" plaque. Cake is 7" diameter, serves 6-8 and is shipped frozen.